BSJ | Colonisation of Mars: is it really possible? 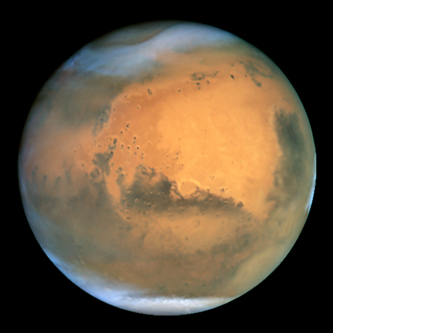 Colonisation of Mars: is it really possible? Walking on the moon is arguably one of the greatest achievements of mankind, but as the Apollo 17 mission in 1972 was the last landing of humans on Earth’s natural satellite, it is evident our attention has been focused elsewhere. In 2011, Bas Lansdorp and Arno Wielders changed the direction of space travel by announcing the Mars One mission, which aims to colonise Mars with human life by 2025. The mission began with a selection process in 2013, where any individual over the age of 18 could apply. There were over 200,000 applicants, all of whom wanted to be among the first to live on the Red Planet. Several stages are involved in the ongoing selection process, but ultimately the applications will be narrowed down to 24-40 individuals. Over eight years, they will take part in high intensity training to assess their mental and physical ability in dealing with the harsh conditions on another planet. This includes spending large periods of time in complete isolation and accepting that they will never be able to see their loved ones again, as they will never be allowed to return to Earth. They will also have to build up a vast amount of skills: for example, learning how to cope with any technical problems such as repairing equipment, as well as learning how to deal with medical issues which are likely to arise as the body is adjusting to living with 62% lower gravity. This will cause weakening of muscles so to the astronauts must follow rigorous exercise regimes to maintain muscle mass; fluid redistribution can lead to atrophy of the heart and dental hygiene must also be considered. Another issue that will be encountered is extreme radiation exposure as, unlike on Earth, there is no protection from the atmosphere on Mars. The astronauts will have to wear protective suits outdoors at all times, and living space will be situated underground to provide as much protection as possible. The cost of the mission is a factor that regularly arises when debating its plausibility. It is thought to be in the region of $6 billion (£4bn), and to cover this cost, a reality TV show which will document everything from the selection process to the chosen four finalists about to begin a life on Mars will be launched. Sponsors will also contribute to the costs. Before travelling to Mars, there will be a demonstration mission in 2018 to see if some of the theories for how the astronauts will be able to live there are true. A satellite will be put into orbit to maintain communication between Earth and Mars. A rover will then be launched to find the best location, and thereafter it will begin to prepare the surface for arrival of humans. The living units will be transported to the planet and the life support system, which will provide a habitable atmosphere, will begin working. Four astronauts chosen out of the forty will travel 40 million miles from Earth to Mars, taking approximately seven months. It will follow that every two years a new group of four astronauts will land to expand the settlement. It is essential for the astronauts to get the nutrients they need to stand the best possible chance of survival. Water can be extracted from the soil on Mars and this will be made easier by the rover choosing a location with good water content before arrival. Each astronaut will be allowed 50 litres of water per day, which is then recycled. In order to survive, oxygen (O2) must be created, which is achieved by splitting water to allow a breathable environment in the living spaces. Nitrogen (N) will be extracted directly from the Martian atmosphere by the life support unit. As for food, there will be limited rations from Earth; however, they will only be allowed to be consumed in an emergency. The astronauts will actually grow their own food using LED lighting indoors, giving the plants the optimal frequencies for growth, in order to avoid wasting power. Carbon dioxide (CO2) for plants is already available in the atmosphere. So the big question is… is it possible? Although the cost is immense, the team have many options from which they can get money due to the large amount of public interest. In addition to that, the astronauts should be able to grow their own food and tend to their own needs if properly trained, but it is a question of whether they will be mentally and physically able to cope with the pressures of leading such an independent life on a hostile planet. The determining factor of whether technology has actually advanced enough to allow us to do this remains unclear. The Mars One mission hinges on the outcome of the demonstration mission in 2018; if it is a success the mission can continue on course, but failure could put the whole mission in jeopardy.